Home » Connectivity » And this year’s winner of the ZOL Jumpstart Challenge is…. 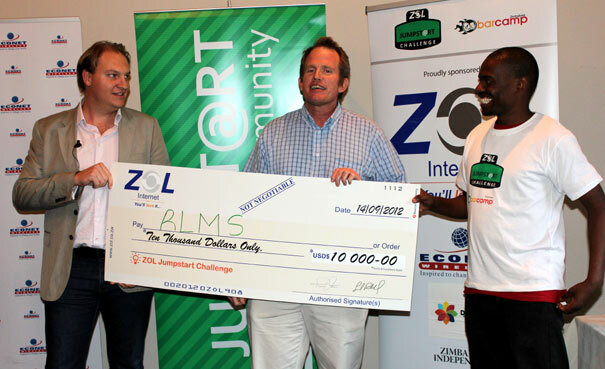 And this year’s winner of the ZOL Jumpstart Challenge is…. We’re just from the ZOL Jumpstart Challenge finals where 6 startups battled it out for top spot of winner of the 2012 challenge. The winner of the challenge is Remote Livestock Marketing System (RLMS) an online livestock sales startup. RLMS allows its customers to buy livestock without having to be physically present. The founder of RLMS is Allister Banks. You can read more about RLMS in this profile here. 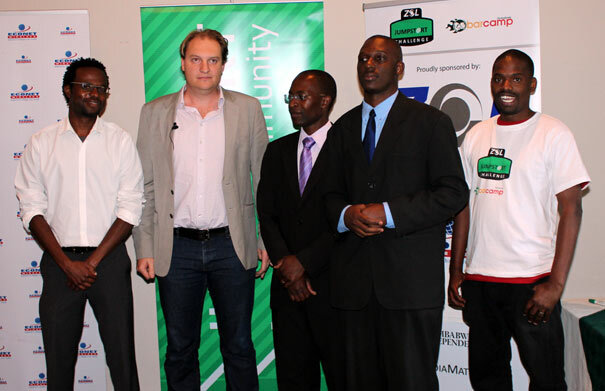 RLMS gets US $5,000 cash and $5,000 worth of internet services from ZOL, the title sponsors of the challenge. The two runners ups this year are FootballZone and Nimbus. We have covered FootballZone here before. Nimbus is an SMS based question and answer application that uses crowd-sourcing to gather answers. Both startups get $2,500 cash and $2,500 in internet services each. The rest of the finalists that pitched today are; Lost & Found, mTutor and Equinox. Well deserved! RLMS is not only profit-making, but empowers others to make money in the process. Looking forward to a solid product. Congrats to the runners up, those who made it to the finals and all who bothered to try! Congrats to Allister! All the best for the future! Thank you to all the sponsors of this amazing event. What a privilege to be a part of it and to experience all the great talents of the other contestants. Keep pursuing your goals guys. Well done Allister for showing Zimbabwe that a non techie can still come up with a great Zimbabwean start up. ZOL Jumpstart Challange really starting to yield results! This looks like a very brilliant idea. Keep it up Allister. The Zimbabwe we want! Well done Allister. Well done to everyone who took part…Eventually all things will fall into place. God Bless.